Mrs Sturt tells me that she and her husband have received a postcard from Mrs Norway’s sister to say that young Nevil Norway is now safely back at Shrewsbury School for the Summer Term. He visited his aunt on the way back from Dublin on May 5th and reported that the family are well but had lost a number of valuable possessions, which had been stored safely – so they thought – in his father’s office in the burnt-out GPO. You might wonder at Nevil’s pluck, but nowadays at the Public Schools the Officer Training Corps are preparing the boys for war and Nevil will have had two years of training, so that he was in readiness for such events as occurred in Dublin. A second letter from Mrs Norway has been received, covering the events of April 27th-29th in Dublin. “I am still rather shaky from a fright I got last night. It is too long a story to write in detail, but we had reason to think that Nevil, who is working with the Red Cross Ambulance, had fallen into the hands of the rebels, and we spent an hour I don’t even like to remember and that unnerved me more than I like to think possible. The thing was unfounded and we found out he was all right, and this morning he turned up to breakfast and has now gone off again. Nevil has indeed shown a lot of pluck for a boy of his age – but having lost her older son already to the war, Mrs Norway’s resolve is also to be marvelled at. In the morning an officer visited the hotel to try to persuade everyone that it had been the military whose bullets came through their windows the previous evening. Mrs Norway felt this to be the case. 29/4/16 4pm. “Sir M. Nathan has just rung up to say that the rebels have surrendered unconditionally. We have no details and the firing continues in isolated parts, but if the leaders have surrendered it can only be a question of a few hours before peace is restored and we can go forth and look on the wreck and destruction of this great city. Word has come from Dublin that the Norway family are safe. A lengthy letter written by Mrs Norway, chronicling the events she has witnessed, has been received by her sister Grace. She has kindly furnished Mrs Sturt with a copy of this letter. It transpires that Nevil and his mother found themselves outside the Post Office only ten minutes after it had been taken by the rebels – they were expecting to meet up with Mr Norway for lunch nearby. His mother writes (dated April 25th) “We were close to the GPO when two or three shots were fired followed by a volley and the crowd began rushing down towards the bridge and people calling out ‘Go back, go back, the Sinn Feiners are firing.” I told Nevil I was going back and fled with the crowd, but Nevil said he would go on. I got safely back to the hotel and found consternation, every moment people coming in with tales of people being shot in the streets and the whole of St. Stephen’s Green being in the hands of the rebels. I was told that the Post Office has been stormed, the Guard shot and the Sinn Feiners were in possession and firing volleys on the police from the windows. Their anxiety was allayed by a telephone call informing them that, just before the attack, Mr Norway had been summoned from the GPO to a conference in Dublin Castle and, although he was trapped there, he was safe. Had he still been at his desk, he would certainly have been taken hostage. Nevil witnessed the arrival on the scene of a troop of Lancers. As they drew up, the rebels opened fire and he saw four go down before he scattered with the rest of the crowd. A rough sketch – the Norways live on Dawson Street. “Nevil did a very plucky thing… He walked up to St. Stephen’s Green and saw a little group of men peering through the railings from our side into the Green. He went to see what they were looking at and found an extraordinary sight. A small gate in the railings had been barricaded by the rebels by putting one of the garden seats against it upside down and on the top of that another garden seat right side up, and lying full length on the seat, face downwards, was a man with all his lower jaw blown away and bleeding profusely. Nevil immediately climbed the railings and dropped down on the other side, and ascertained the man was alive; he then turned and fairly cursed the men who were peering in, and asked if there was not one man enough to come over the railings and help him move the poor creature, whereupon three men climbed over and together they lifted down the seat with the man on it, dragged away the other seat, and so opened the gate and brought out the seat and man without moving him. The newspapers today indicate that although Sackville Street is in ruins and the GPO nothing more than a shell, the situation in Dublin is now well under control, the rebels having surrendered. We look forward to further news of the Norways nonetheless. Although today’s papers have more detailed news of recent events in Dublin and indicate an improvement in the situation, we are none the wiser as to the fate of the Norway family. There has been no mail and the country is under Martial Law. 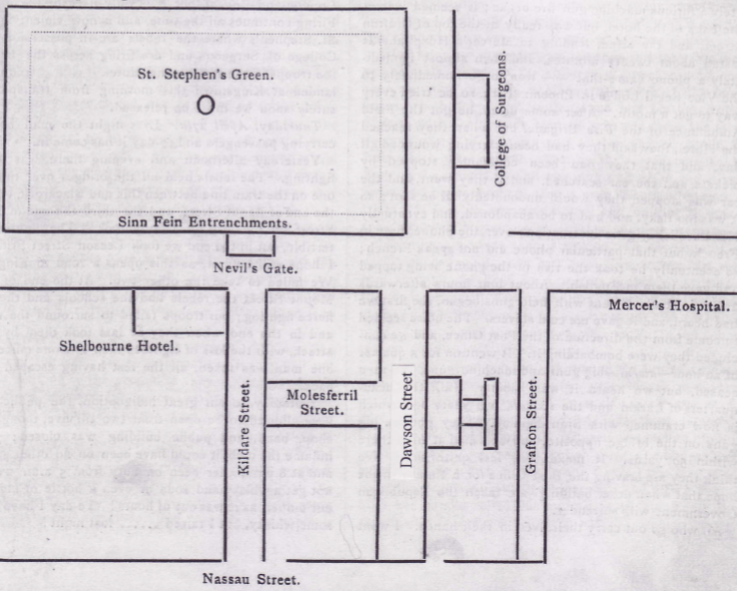 We do know that the Norways have been living in the Royal Hibernian Hotel on Dawson Street, off St. Stephen’s Green. As the rebels have been in possession of the Green and that there are reports of numerous snipers in the area, one can only assume that they have been in some considerable danger. The GPO, where Mr Arthur Hamilton Norway has his office, has been all but destroyed but, being a Bank Holiday, the hope is that he would not have been present when the rebels attacked. 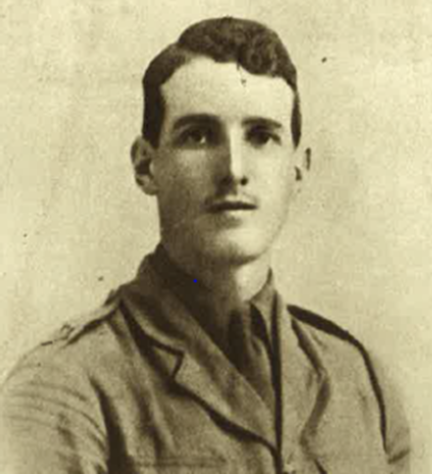 His son, Nevil Norway was a day-boy here at the OPS from 1910-13, residing with the Sturt family close by in Park Town. The Norway family met the Sturts on holiday in Cornwall and they became friends. We hope that Mr & Mrs Sturt, who are in touch with Mrs Norway’s sister, will receive some news shortly. Also in today’s newspaper is an announcement that Mr Arthur Lionel Smith, the father of Lionel Smith (who was at the OPS 1890-94) has been elected the new Master of Balliol College, Oxford. By my estimation, there are about twenty Old Dragons who later attended Balliol now fighting in this war. Of those 21 Old Dragons who have been killed, Regie Fletcher, George Fletcher, Ronald Poulton, Alasdair Macdonell together with Tom Higginson are all Balliol men.